Are you ready for an island getaway? Want to relax and soak up the sun while the waves lap at your feet? 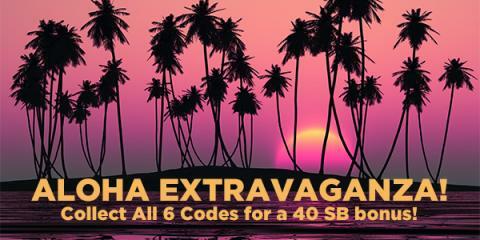 Swagbucks is having an Aloha Extravaganza, which is one of the easiest ways to earn SB! SB are points you earn on Swagbucks, a website where you can get gift cards for the things you do online - I've gotten 4,697 SBs this month alone with Swagbucks - and will be grabbing Amazon gift cards to go shopping at my favourite store! It takes place Wednesday, August 16th starting at 7am PDT and goes until 4pm PDT! There will be 6 Swag Codes throughout the day worth a total of 40 SB!